Saif Ali Khan has a fashion faux pas at the Lekar Hum Deewana Dil screening. Bollywood star Saif Ali Khan is usually known for his impeccable nawabi sense of style, however, the actor seems to have taken his innate sense of style for granted. 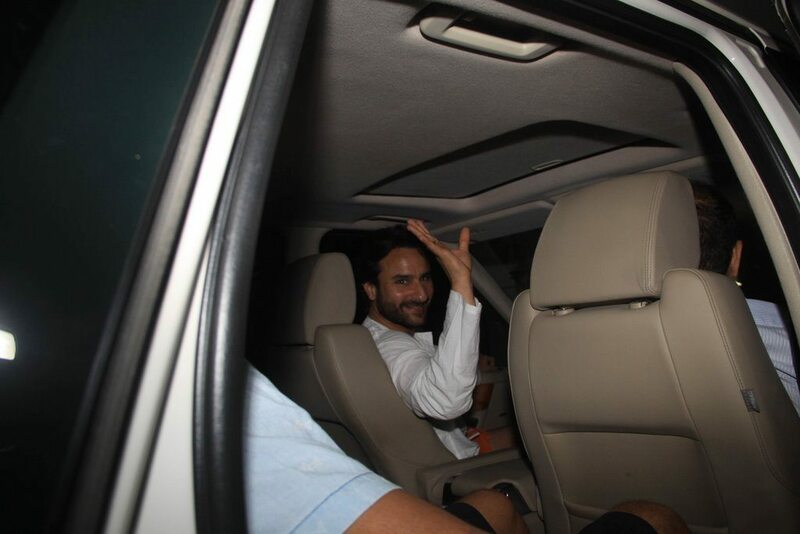 Saif appeared for the special screening of the upcoming movie ‘Lekar Hum Deewana Dil’ held at Lightbox in Mumbai on July 1, 2014, he was dressed in a decent white shirt coupled with a not so flattering pair of orange shorts! The upcoming movie LHDD will mark the debut movie of actors Armaan Jain and Deeksha Seth. The movie is directed by Imtiaz Ali’s brother – Arif Ali – and Saif has co-produced it along with Sunil Lulla, Dinesh Vijan under the banner of Eros International and Illuminati Films. LHDD also features Sudeep Sair, Akhil Iyer and Rahul Dev.